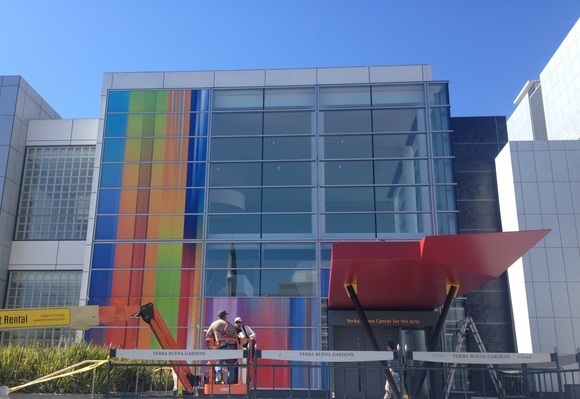 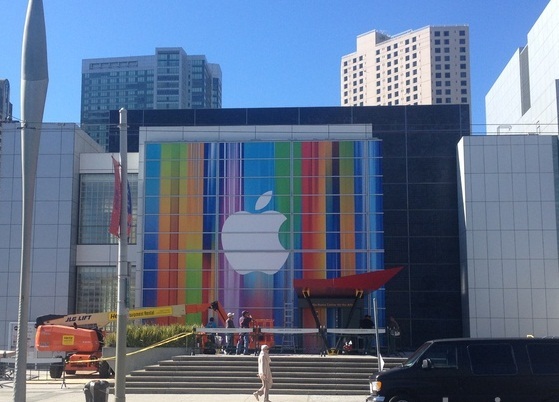 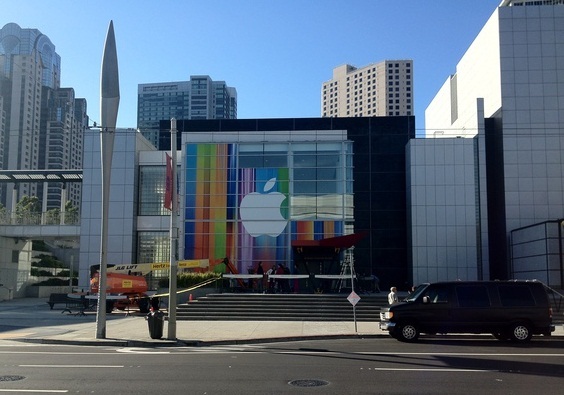 With less than a week left before Apple makes its major announcement at Yerba Buena, the company is finishing getting all the banners in place. 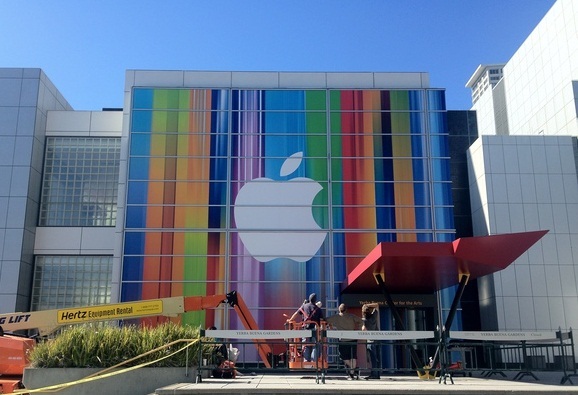 The Yerba Buena banners just look like streams of color at the very first glance, but an attentive eye would easily notice that Apple iOS icons are revealed stretched within. More specifically, the stretched icons featured on the banner include: the Music, Safari, iTunes Store, Stocks, and Game Center icons had been stretched vertically and in some cases flipped over, to create the colorful background! 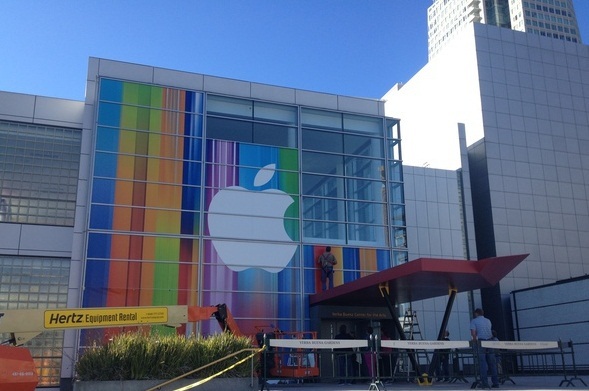 Below you’ll find the images demonstrating that the banner is actually made of iOS icons, while it may seem quite unbelievable at the first sight. 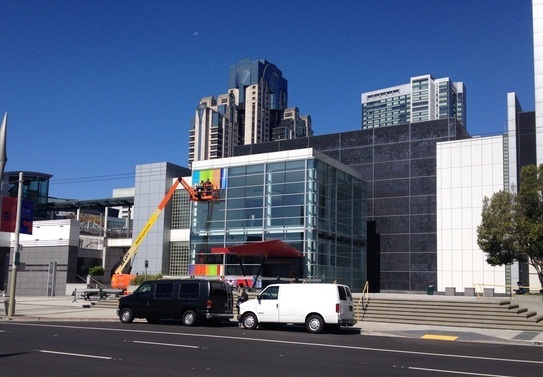 We’ve also attached the images of what Yerba Buena looks at the moment, and the process of putting up the banners, which usually are of little indication of what the company has to announce on Wednesday, September 12th. 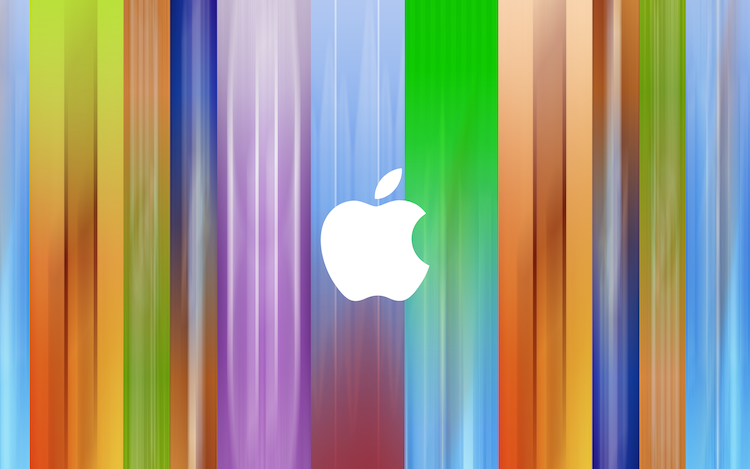 Anyway, check the images and do not hesitate to share your opinion in the comments below.